Configure a custom cooling system or add to an existing rack mount fan or cabinet fan system for temperature controlled operation. Learn more about connecting multiple fans. 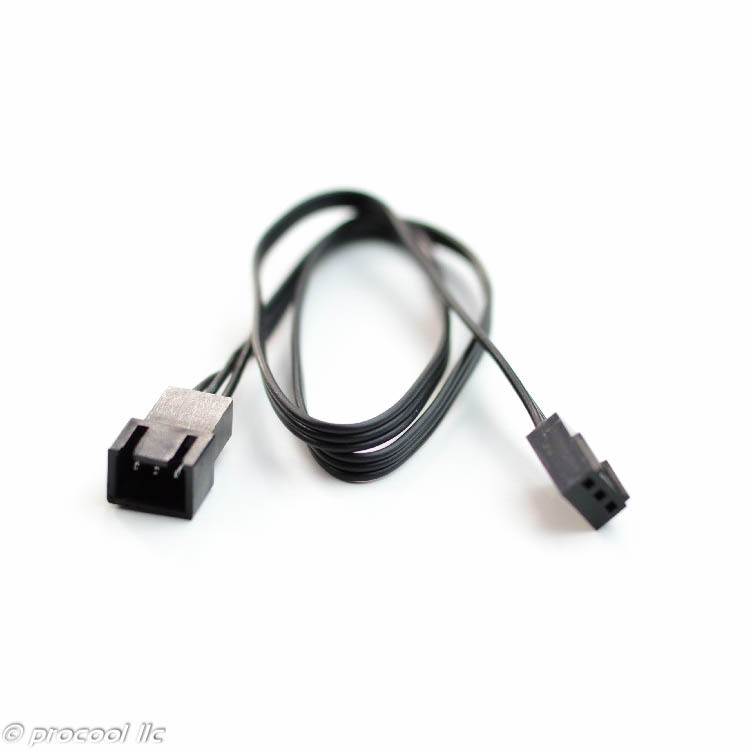 The fan controller will monitor the rack temperature and start and stop the connected fans when the user preset temps are reached. When the ON temp is reached the fans will start. Once the rack has cooled to the OFF temp setting the fans will shut off. 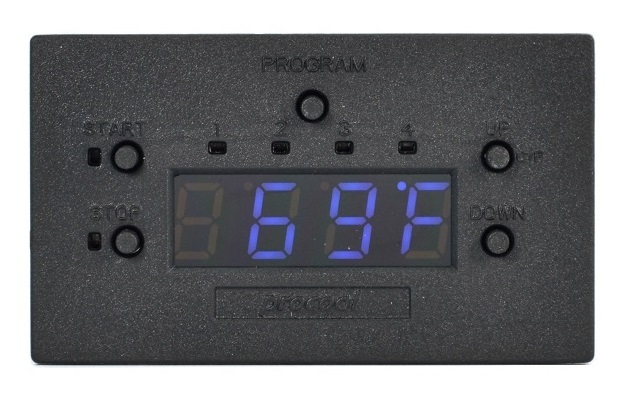 The easy to read Blue LED display shows the temperature in C or F for convenient monitoring. The display can be turned off if desired without affecting operation of the system. 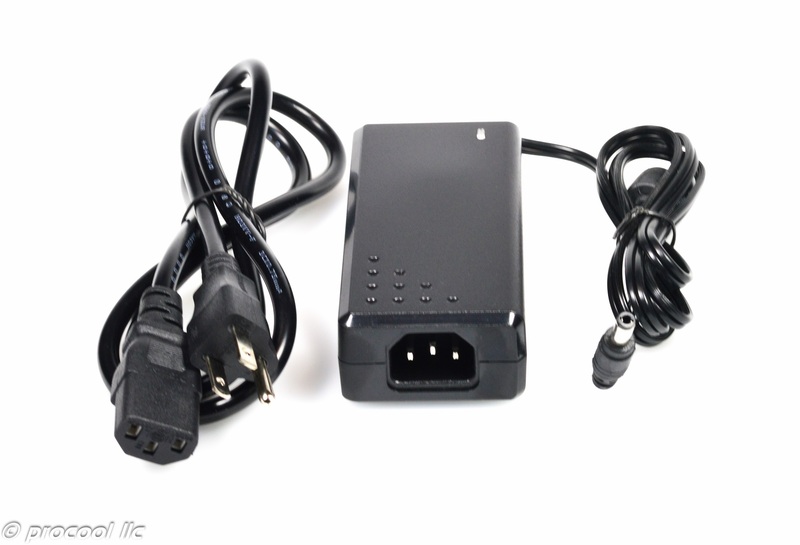 Additionally the fan controller can be set to Always On Mode which bypasses the temperature control function if needed. Rack mount fans can be connected as well as several individual cabinet fans or combinations of both. The number of fans is limited to the combined power consumption of the connected fans. The advanced system AVP-1U+ supports up to 6 amps. 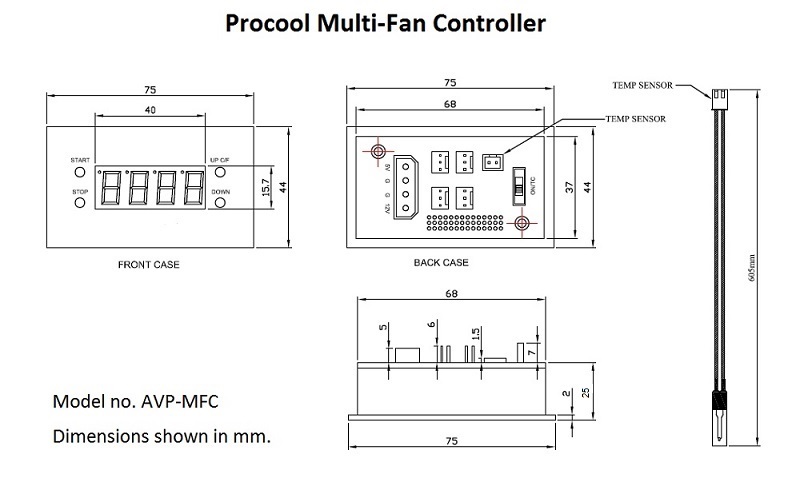 The amp ratings for all Procool fans are shown in the specifications tab on each product page. Look for Power Consumption ratings shown in Amps. Add the Amp rating for each rack fan and cabinet fan to be connected to determine which system is needed. Typically the 2 amp system will control 2 to 3 rack mount fans or 10 cabinet fans. 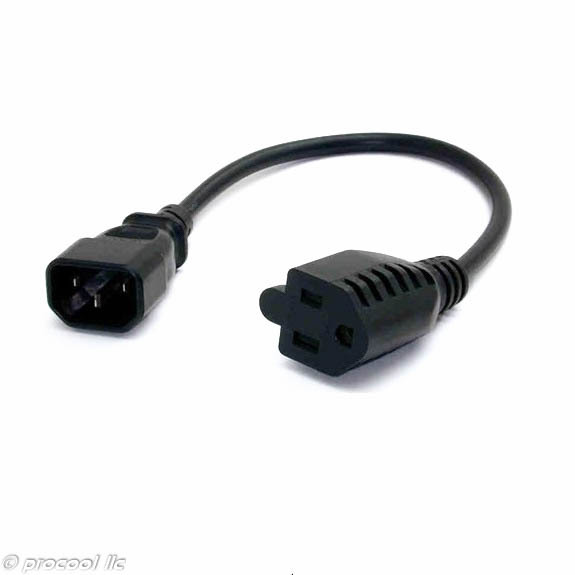 Panel Size: 19" x 1.75" x 2" 19" x 1.75" x 2"
Power Supply Cable length: AC-60" DC-36" AC-60" DC-36"
Interconnect Cables: 2 PSA-SP Adaptor Cable 36" 2 PSA-SP Adaptor Cable 36"
The Controller works great! I have 2 model SX480 fans panels connected. One blowing in and one blows out of my rack. The controller runs them both simultaneously. Turns on and off only when needed. Great system Procool! 5 Stars! Works as described. It controls 2 rack fans and 2 cabinet fans. Very nice!